Madeline and Michelle had been spending a lot of time together, and getting along quite well. Then one day, and for no apparent reason, Madeline treated Michelle very poorly. Michelle was hurt. Madeline should have minded her manners around the future queen. The falling out could have been avoided. Correction…make that “the falling off”. The wind knocked out of her, Michelle lay on the rocky ground. She didn’t feel able to move. When her parents saw the riderless horse, they went to find Michelle. When they saw her, they called 911. Fire Department paramedics arrived to find that Michelle’s body was covered with hoof prints. They called REACH and Michelle was flown to Eden Hospital in Castro Valley, about 30 miles away. 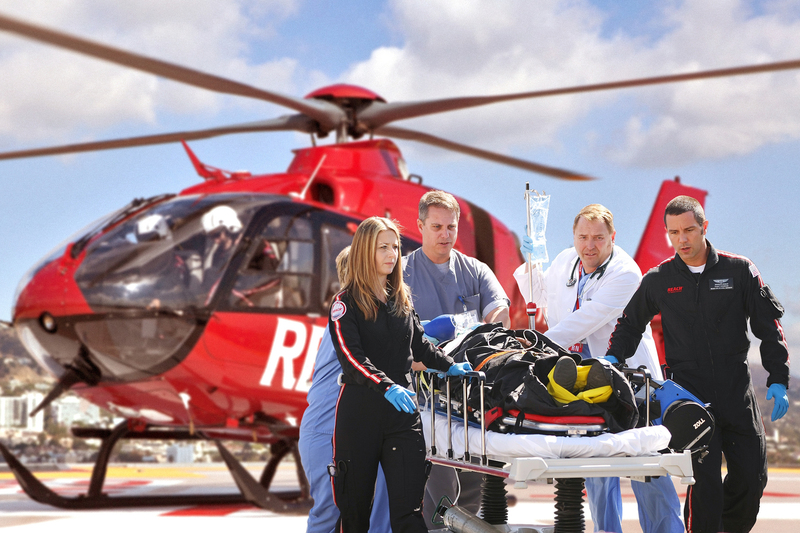 Michelle was transported to the hospital aboard a medically-equipped REACH helicopter. Those guys were Pilot Chris Beasley, Flight Nurse Brian Warner and Flight Paramedic Larry Brown from REACH’s Concord base. 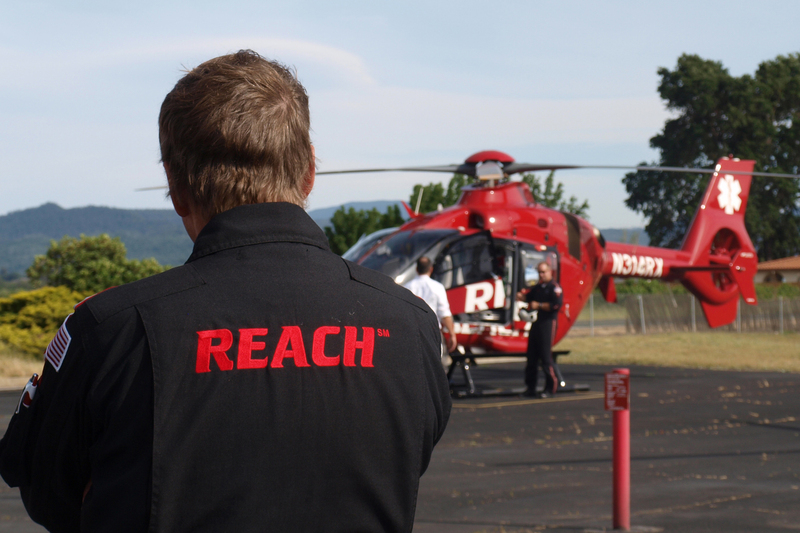 The REACH crew is standing by 24/7 to respond to 911 calls such as Michelle's. The REACH crew were amazing. Chris and crew got Michelle quickly and safely to Eden, where doctors were particularly concerned that Michelle’s liver and spleen might have been damaged. They ran tests and were fast to report that Michelle’s injuries were limited to fractures, some broken ribs and tissue damage. Miraculously, her organs were unscathed. She was released soon after. Michelle Hewitt, here with her beautiful horse Madeline, is the Livermore Junior Rodeo Queen. Everyone at REACH is thrilled that Michelle experienced such a successful outcome following her fall, and we wish her a wonderful year as Livermore Junior Rodeo Queen.